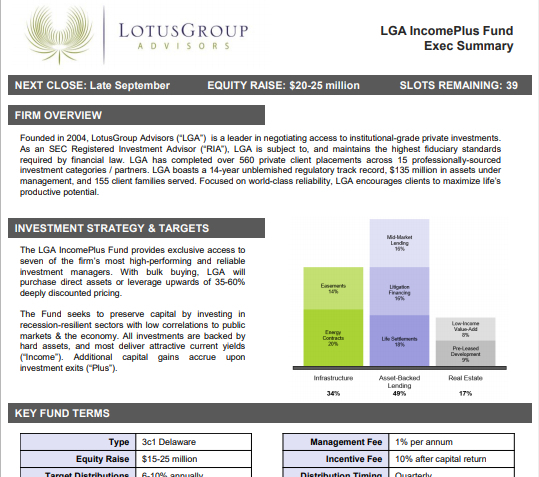 The LGA IncomePlus fund provides exclusive access to six of the industry’s best and reliable investment managers. LGA has been successful in negotiating upwards to 60% off fees per manager through bulk buying. In some instances, a manager fee is avoided all together by making direct investments. Combined into one fund, this provides convenient and discounted access to a Core Alternative Investment allocation and strategy. This manager is one of the nation’s largest ground lease acquisition companies. The management team pioneered the ground lease acquisition business in 2002, and has successfully closed over 5,000 transactions. They currently manage over 3,000 individual ground leases totaling $650M in capitalization. The manager acquires real property interests underneath “mission critical” infrastructure: cell phone towers, billboards, wind turbines, and solar projects. This means they don’t own the land, but they pay the owner a lump sum or structured payments for the rights to the land, and in turn lease that land (easement) to outside operators who are signed to long-term contracts. In most cases, these triple net lease contracts have price escalators built-in. This investment sports both attractive return characteristics and a high level of recession resiliency given the long-term contracts with high quality lease tenants. This manager focuses exclusively on the acquisition and value-add management of $1-20MM electric power generation assets in solar and wind. This space is not only rapidly growing, but it flies below the radar of the traditional $1B+ infrastructure asset managers. Acquisition prices are in the 10-11 cap range, while the eventual exit is estimated in the 6-8 cap range (e.g. large institutional buyers are highly interested in larger and professionally managed portfolios of such assets that will “move the needle” for them). Our manager negotiates long-term contracts with price escalators, creating a high degree of recession resiliency, especially considering the typically strong-credit buyers (e.g. public utilities). Furthermore, buyers are required to purchase all the power that is generated from these assets due to “take and pay” contracts. This feature drives consistency with cash flows and provides additional recession resiliency with a guaranteed buyer. LGA has worked with this manager for nearly two years in its direct investment business. Building on this relationship, we secured late stage access to a portfolio already beyond the half-way point of its full aggregation and eventual exit. The result is a lower risk of funding, and a shorter time frame to exit returns. Finally, we have negotiated favorable price discounts for inclusion in IncomePlus. We are very excited about the manager, the space, and the potential to generate attractive returns. This manager is a very conservative $1.8 billion institutional lender to mid-market businesses (private US companies with $25-75MM EBITDA). This opportunity is taking advantage of the “Lending Gap” that has resulted from massive small bank closures in the past two decades. 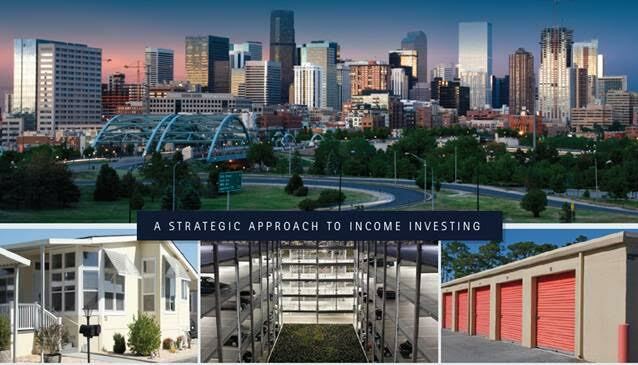 Our wealth management client base has already invested over $9 million in this fund, targeting 11.4% annualized returns as compared to public market bond returns of between 2 – 6%. Furthermore, this private manager uses covenant-heavy techniques to protect and collateralize assets, as opposed to public securities which today sit at unprecedentedly covenant-lite levels relative to history. 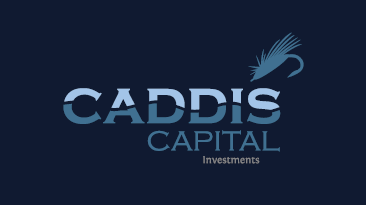 We have worked with one of the original industry founders for over a year to help his firm launch a third fund, targeting the retail investment community. We previously invested as a firm in Fund II to vet the manager before creating this new opportunity for distribution to our investors. Their previous two funds have delivered 8% first year distributions and 18%+ total annualized IRRs. Financing of late-stage litigation is highly uncorrelated to the economy or the stock market (in case a bear market shows up there in the coming years). An example of the type of litigation would be talcum power, blood stents, or asbestos. This underlying fund is targets a healthy return, strong current income, and downside protection, making it and excellent fit for the LGA IncomePlus Fund. Low Income Value-Add Real Estate is also known as mobile home parks, manufactured homes, self-storage, and student housing. This particular category of real estate is counter-cyclical which makes it an excellent fit for the recession-resiliency theme of our LGA IncomePlus Fund. Potential demand in the mobile home space currently exceeds supply by a factor of 4:1. Further, this demand is expected to increase with the secular wave of retiring baby boomers. During a recessionary environment, renters tend to downgrade from Class C apartments to low-income real estate, allowing for operators to have pricing protection. The operator we use has been a leader in commercial real estate for over 35 years, recently leaving his previous partnership to create a new entity and team. This value-add fund has raised over $20 million and is now well past the j-curve. A key component of their success is a state-of-the art benchmark technology used to measure micro-market supply characteristics and current price gaps,leading to the purchase of undervalued properties. Thereafter, a value-add strategy is employed to improve the properties, increase housing supply, and raise rents up to market rates. 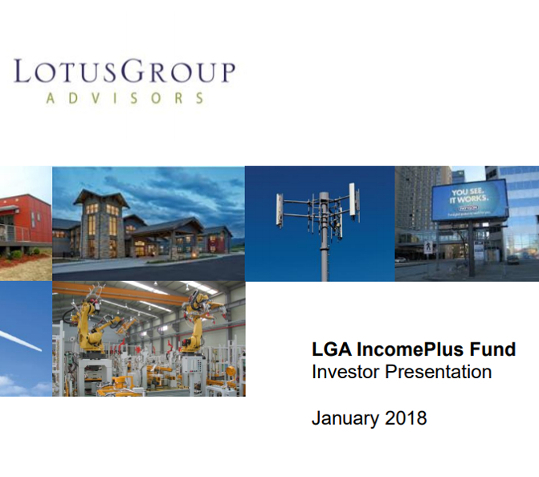 The LGA IncomePlus Fund obtained one of the last remaining slots in the fund prior to final close (it is no longer available to direct investors), and enjoys the security of investing after the fund was well established with income-producing assets already in the portfolio.